100° in the Shade — No Problem! What do you do when it’s 100° in the shade and you’re on summer vacation? Simple, you go fishing! Let’s face it, it’s hot! However, the fish don’t seem to care about the heat. 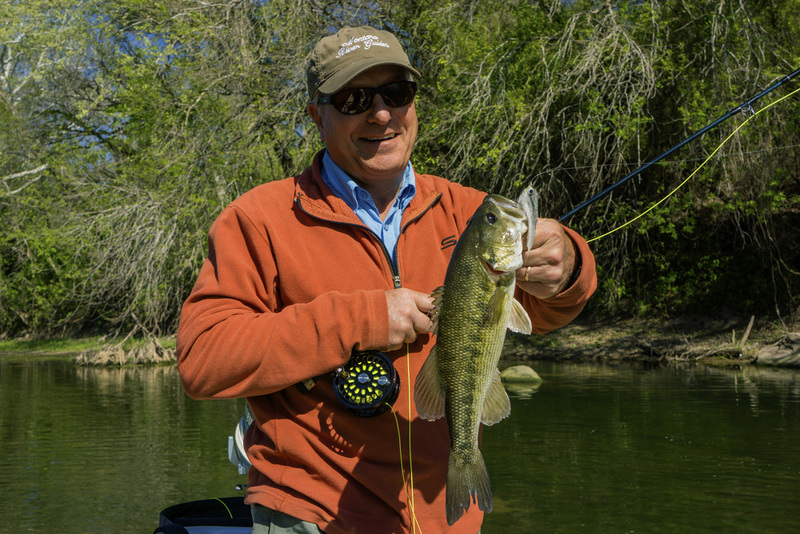 With good hydration and sun protection—including quality SPF 30+ clothing, and the occasional swim break anglers can enjoy themselves on our Hill Country Rivers all summer long. 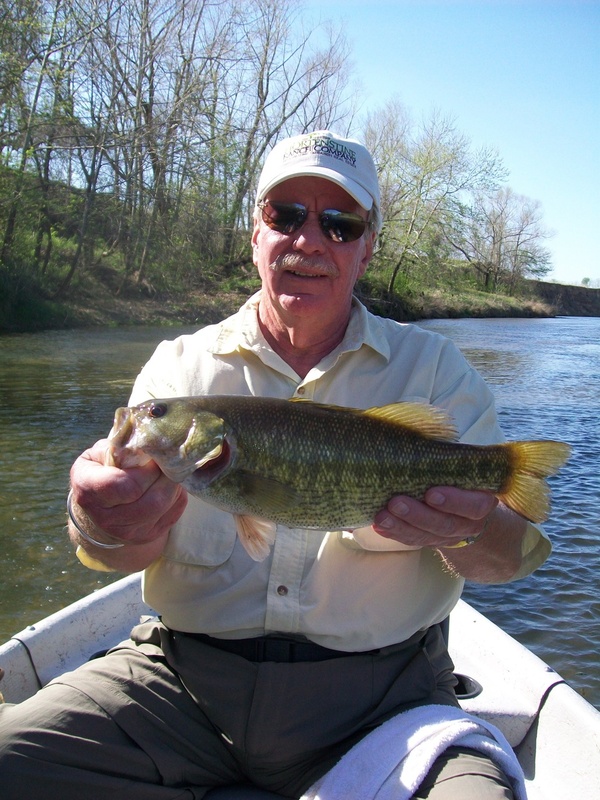 Over the last several weeks the fishing has remained good despite hot weather, rain, and “yo-yo” flows on area rivers. 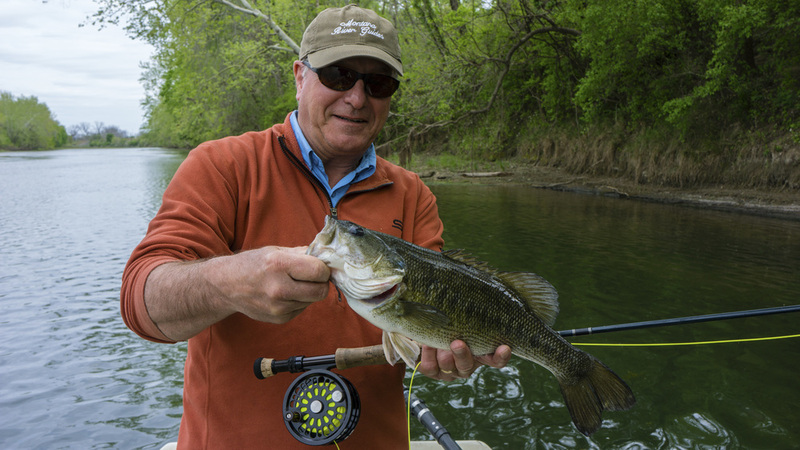 Summer patterns that are getting the job done include poppers, clouser minnows, weighted rubber-legged streamers and crawfish imitations. 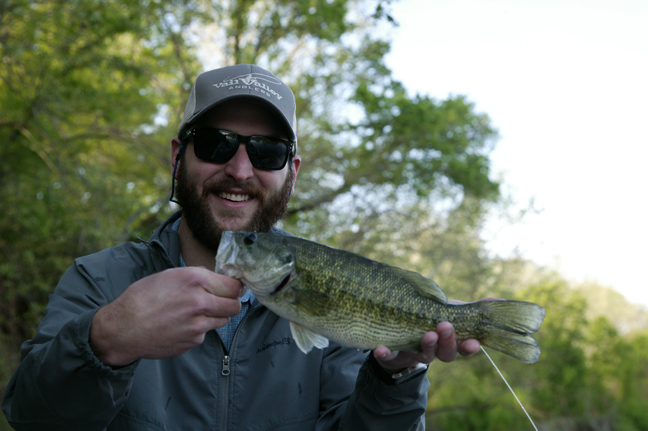 Accomplished angler, Alex Butler (pictured) fished with us and put together a respectable mix of fish on both the Colorado and San Marcos rivers. 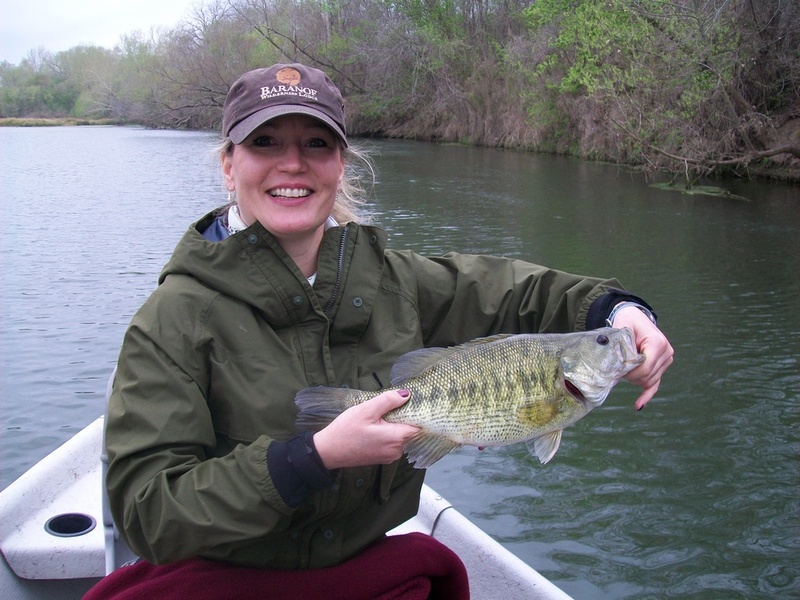 Alex and his wife Lee Ann caught good quantities of quality bass—both Guadalupe and largemouth. An added bonus was a day of surprise catches, which included various sunfish and a monster Rio Grande Cichlid (Cichlasoma cyanoguttatum) that measured 10”. Alex was able to check off this species (Cichlid) from the TPWD Freshwater Elite Angler Award “big fish” list. 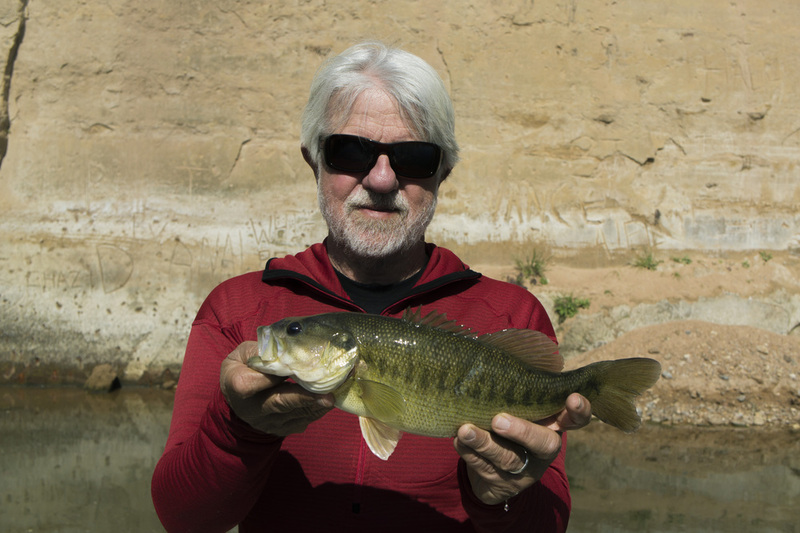 After fishing with Alex, it’s not surprising that he holds the Colorado River water body record for a Guadalupe bass on a fly rod. We appreciate the great work and collaboration between Texas Parks and Wildlife and Texas State University researchers. Happy to see 100% strain Guadalupe Bass in the Colorado River! 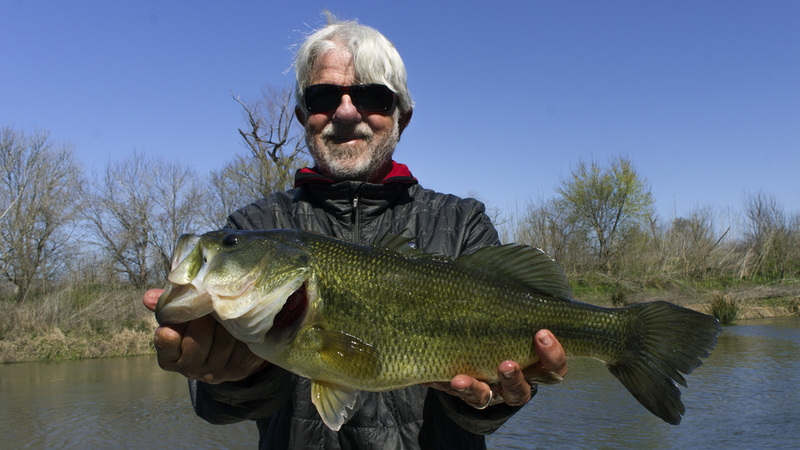 For years we have had our share of naysayers who have questioned our catches/photos of huge Guads as “hybrids” or “spotted bass”. Our intuition has been validated at last! Collectively, the guides at AWG have spent over two decades fishing for Guads on the Colorado River. We love nothing more than sharing our unmatched experience and knowledge with others. Alex Butler with a nice largemouth caught on the Colorado River. Better than expected!!! But still a tough day yesterday. Water was still dirty and the wind, it seemed, could not make up its mind. It was coming on strong from all directions. JTVZ and I fished Lil' Web to Big Web with Kevin, Dave and Chum. Dave used a Echo3 6wt. Hitting the bank hard with a popper but had the most luck using an extra fast sink tip with a 'crawfish like looking thang' in the fast water where we found some Guadalupe bass. My boat were folks from out of state with no knowledge of our state fish, I love peoples reaction to this fish "wow what a fighter"
Absolutely gorgeous day and again we had the entire river to ourselves. The fish must be getting really hungry. Guad bass + Camera+ = fun picture. Had a great trip on the Colorado with brothers Jason and Jordan. The day started a bit slow making us think O'fish where are thou. But slowly the fishing improved and the bite was on. 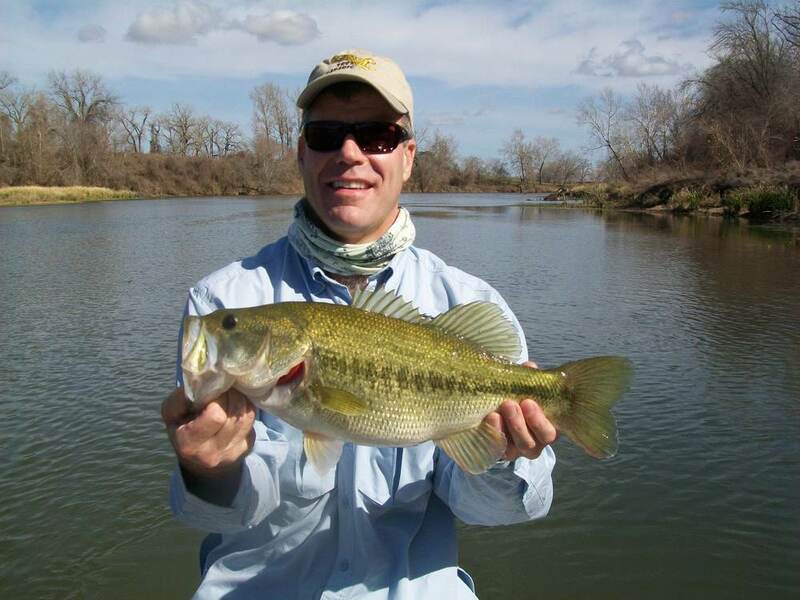 Once the sun was up and with warmer mid-day weather the Guadalupe bass were all over our surface flies. 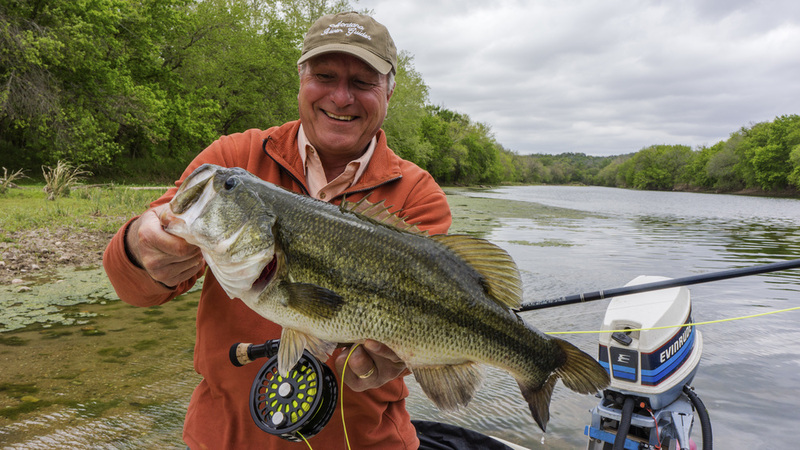 Flip-Flop poppers and Alvin's Double-Crease patterns in yellow, orange and red made the bass go crazy. 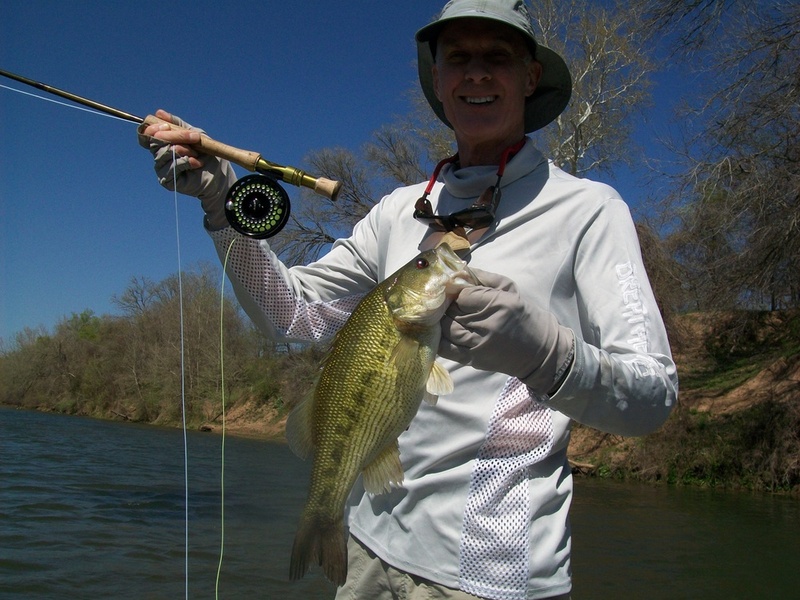 The Colorado river is gin clear and in perfect condition for catching bass on the fly. With the bass moving into post-spawn they will be looking to fatten-up, which always means good numbers and bigger fish. 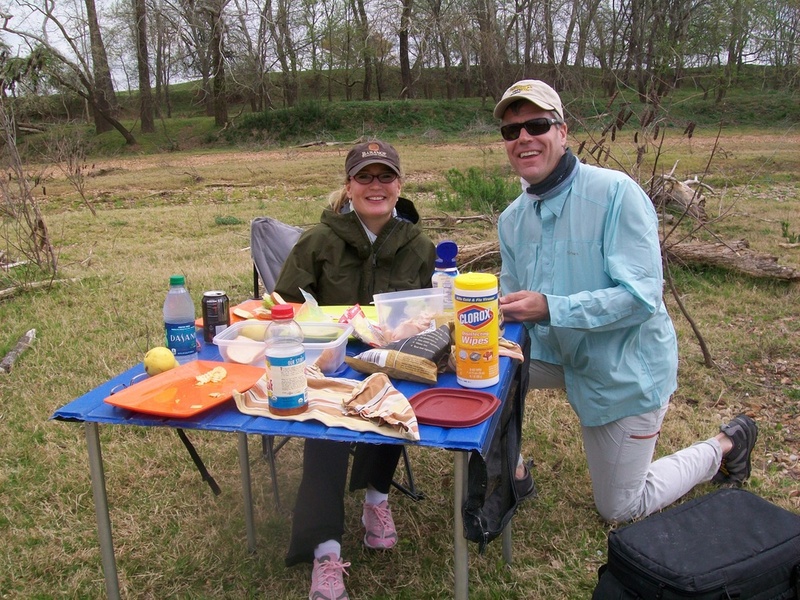 All-and-all a great day on the river! 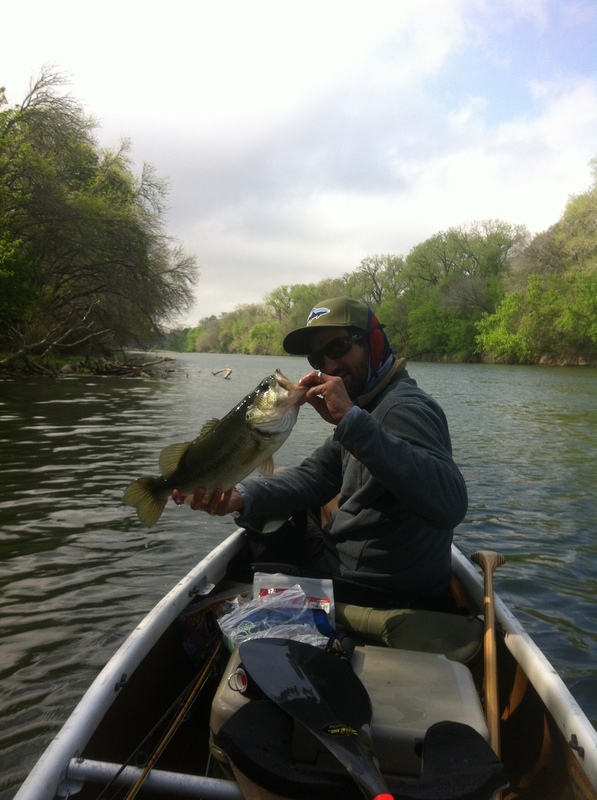 Jason with a nice Guadalupe bass caught on a a red Alvin's Double Crease fly. 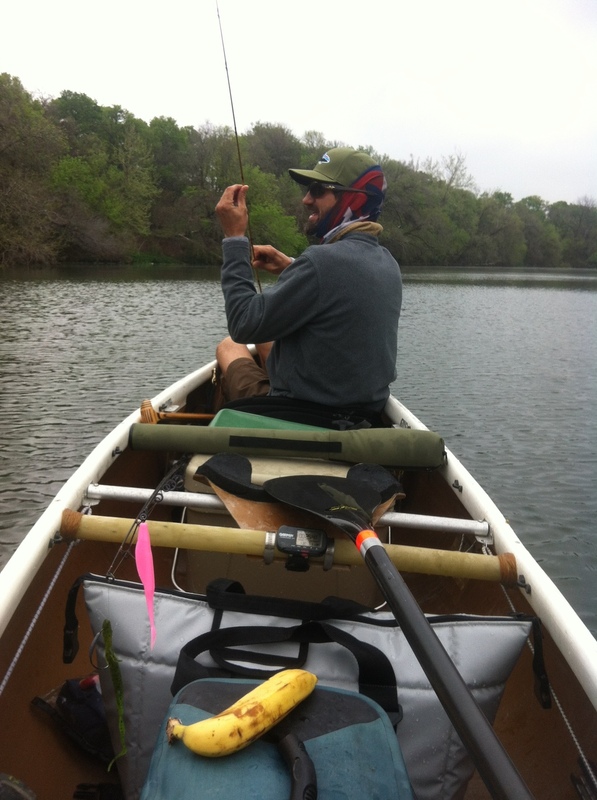 JT and I made a run from Utley to Bastrop in the canoe this week. The fishing was fantastic and the scenery on this stretch is wonderful. The river is really clean and there are lots of rocky riffles in the river and many scenic spots along the way to enjoy. The first few miles get hit pretty hard by boaters, but after the first set of rapids the fishing really picks up. We started catching fish right away and had good luck all day! The middle 7 miles of this stretch are virtually impossible to reach with a motorboat, so if you want to see some water that very few people fish, you should consider a trip! Good fishing today on the Colorado River. The day started off kind of slow and got better as it got warmer. Spring is defiantly under way. 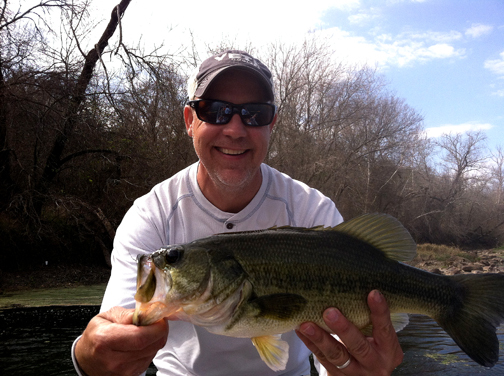 We caught quite a few nice Guadalupe Bass as well as a handful of Largemouth bass. 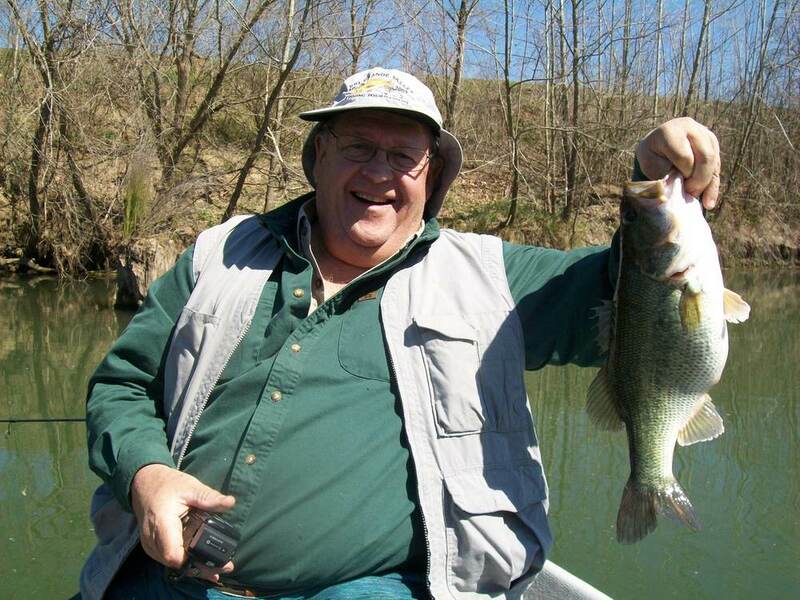 The best was a Largemouth bass of around 4 pounds. At the end of the day we had boated between 30 and 40 fish and all of them were caught on top! 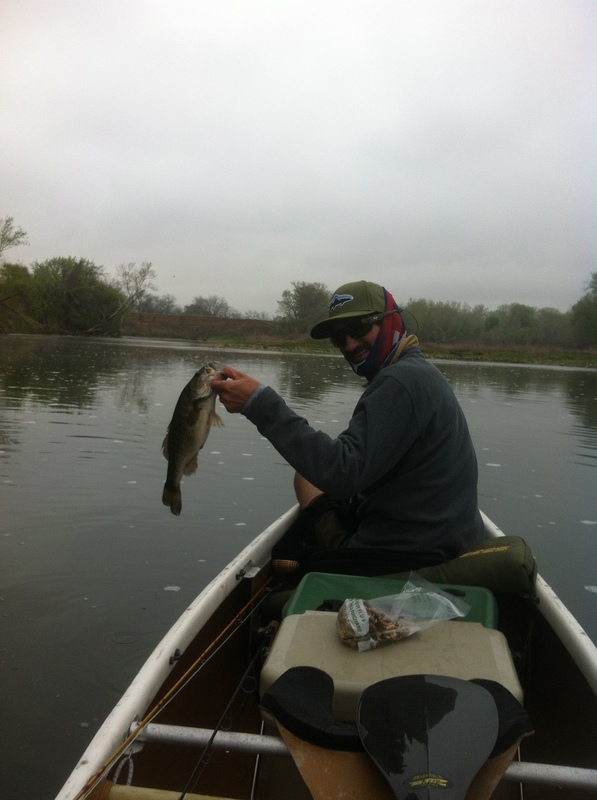 March Bass-Madness is in full swing and over Spring Break the fish did not dissapoint and neither did the weather. Mornings were frigid (39° to 50°) and made for cool boat rides on the Colorado River. 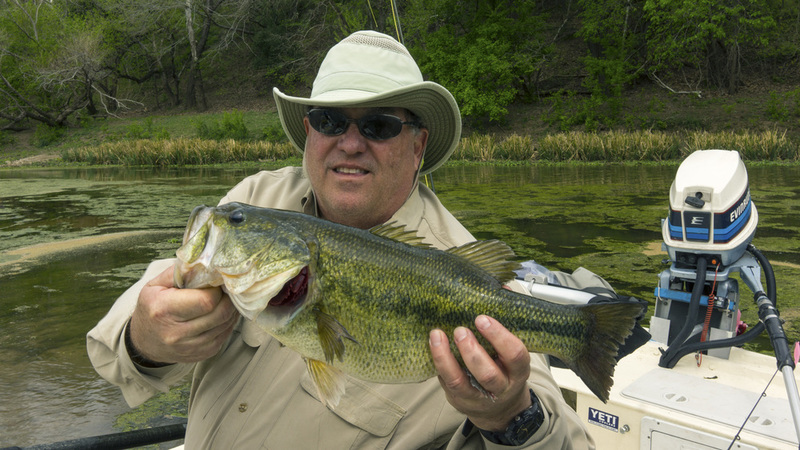 However, soon after shutting down the boat it didn’t take long to start hooking nice largemouth and Guadalupe bass. 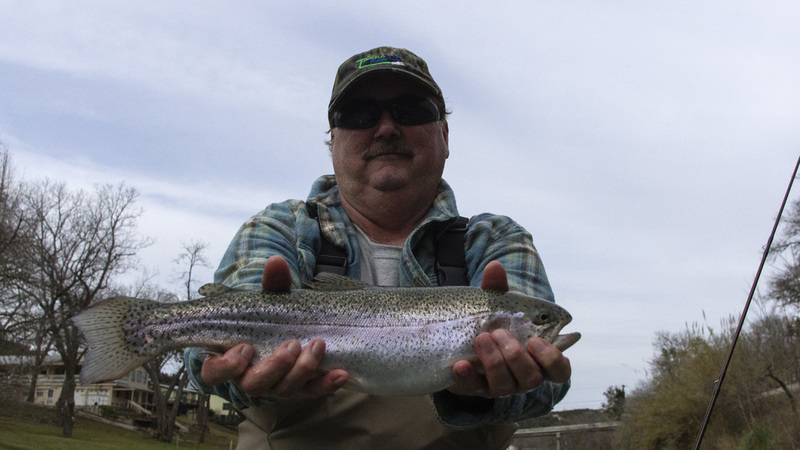 Most of the action early in the week was with subsurface flies—baitfish/streamers and crawfish patterns. With the weekend came hot weather and water temps reaching 70°. You all know what this means—POPPERS! Though we only had small males on poppers the quantities were impressive. That will soon change as we rapidly move into post-spawn fishing for giant hungry female bass who love to eat well-presented poppers. Hope to see you on the water and thanks for all the “likes” on the All Water Guides Facebook page. 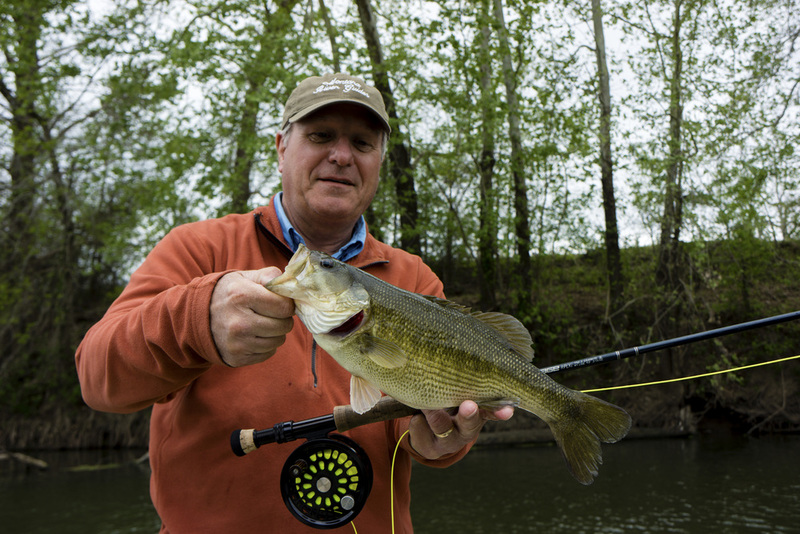 Spring is here and the good fishing has begun. 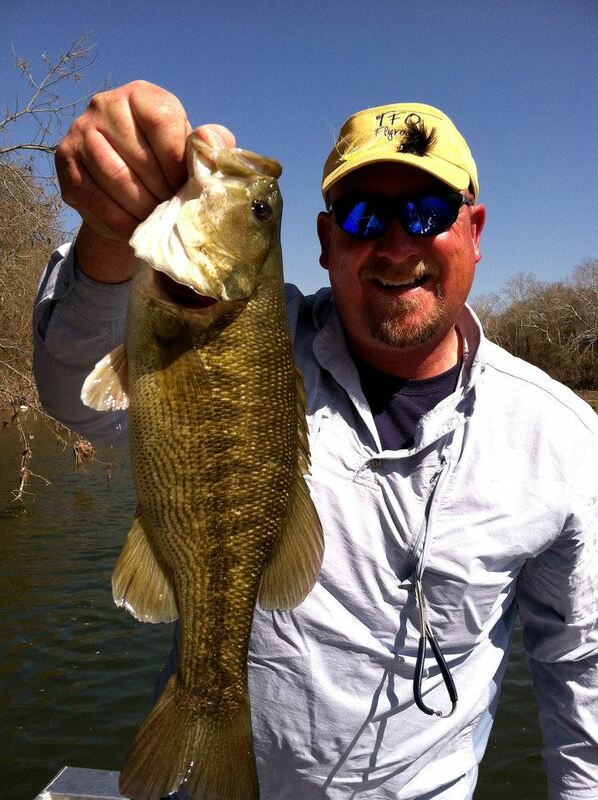 In the past 10 days I have had 3 trips on the Colorado river near Smithville Texas. 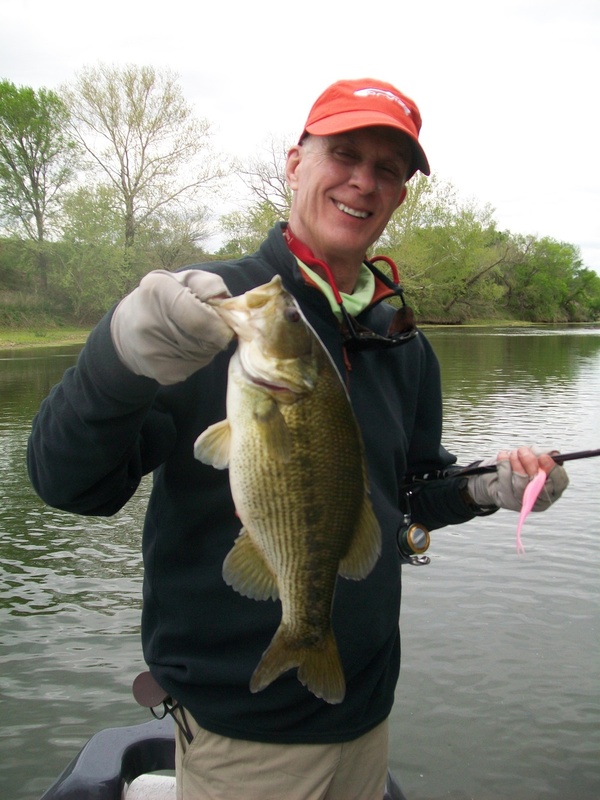 Average count was 20 plus bass per angler, with a few bass up to 4.5 pounds. 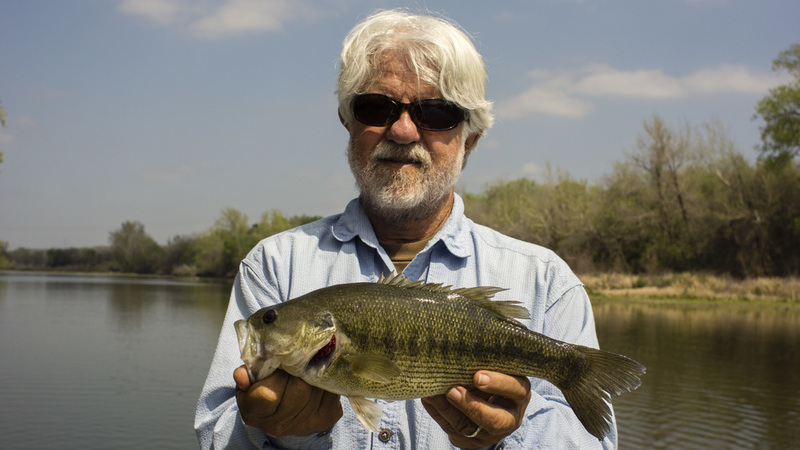 Mostly large Guadalupe bass up to 2.5 pounds. 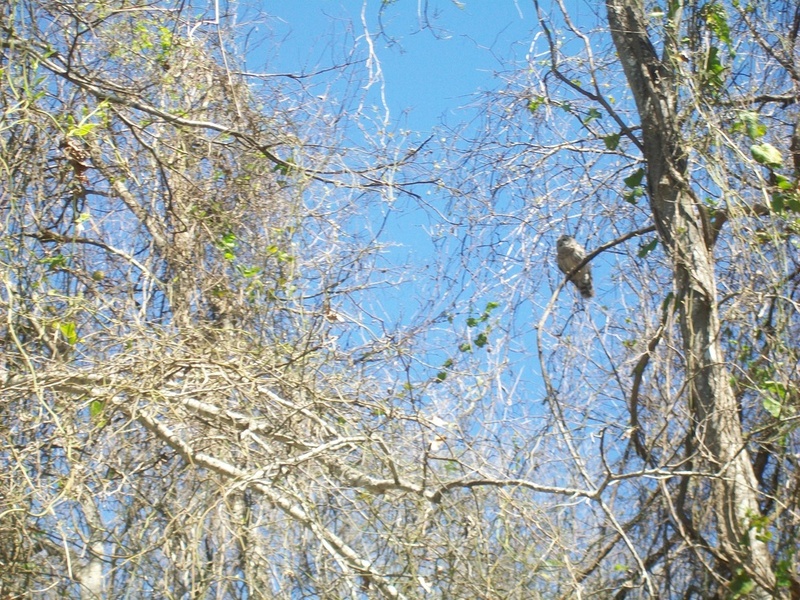 Real clear water and newly budding trees make for a beautiful Central Texas day. It's strange to say but it's going to get better in the next 30 days. 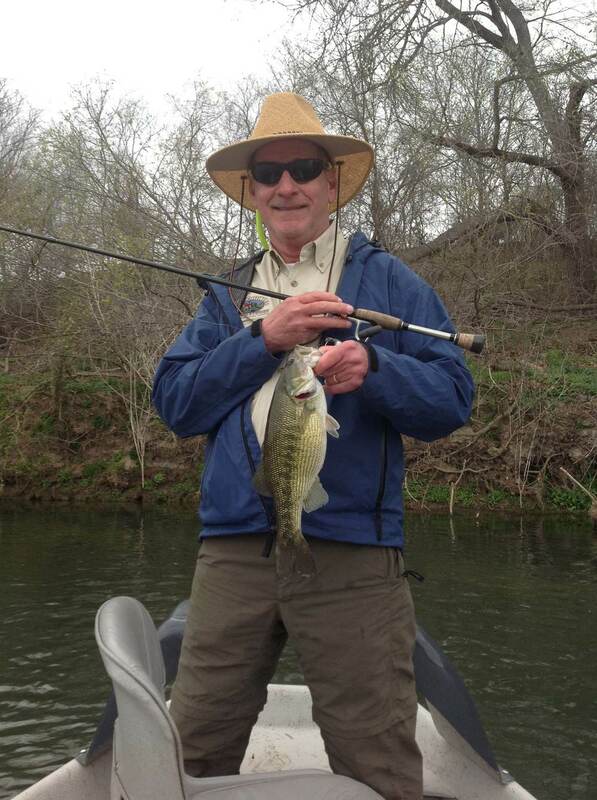 Great fishing today on the Colorado River near Smithville. I fished with Mike and Ben Thompson. 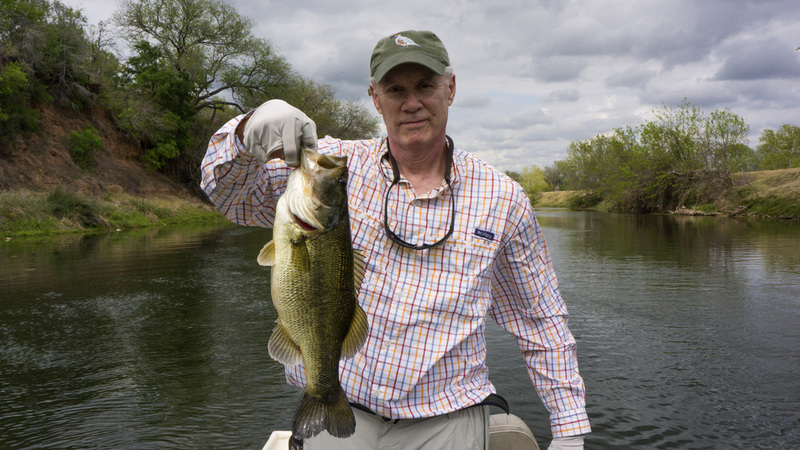 We caught quite a few nice Guadalupe Bass up to 3 pounds. We caught a few Largemouth Bass as well. The fish of the day was a huge Largemouth Bass. We caught most of our fish on a crawfish patterns. we also picked up a few on weighted Clouser minnows. The water was in the high 50s in the morning and rose into the low 60s later in the day. The low last night was in the high 20s. 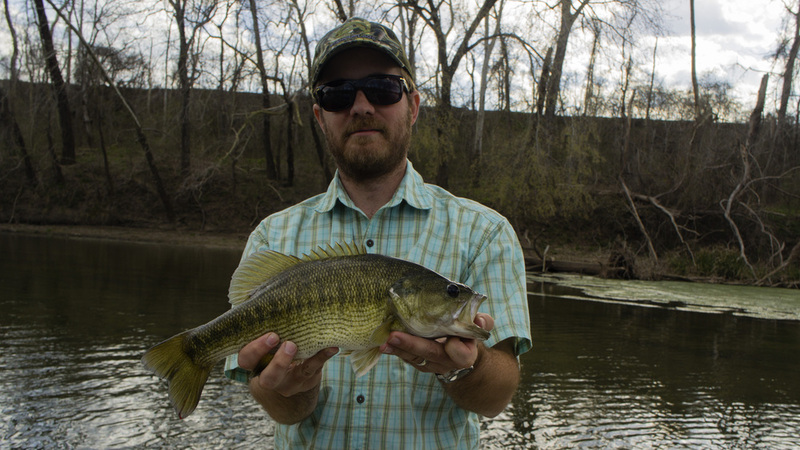 Despite the cold temperatures the bass were pretty active. 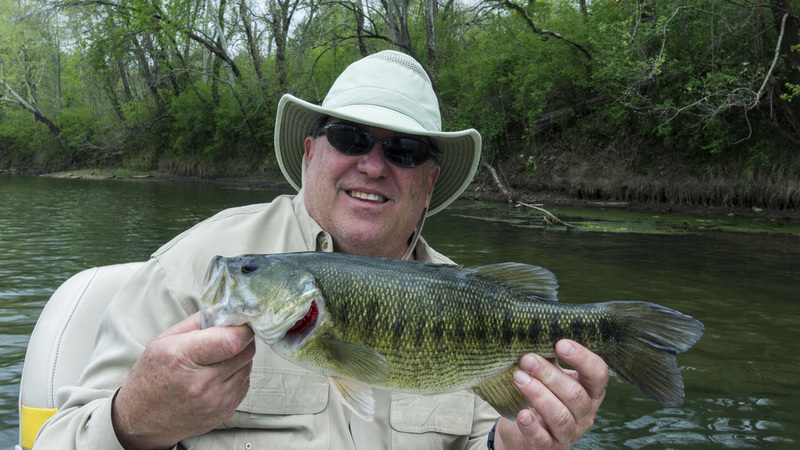 Bass fishing should really pick up in the next few weeks as temperatures rise. 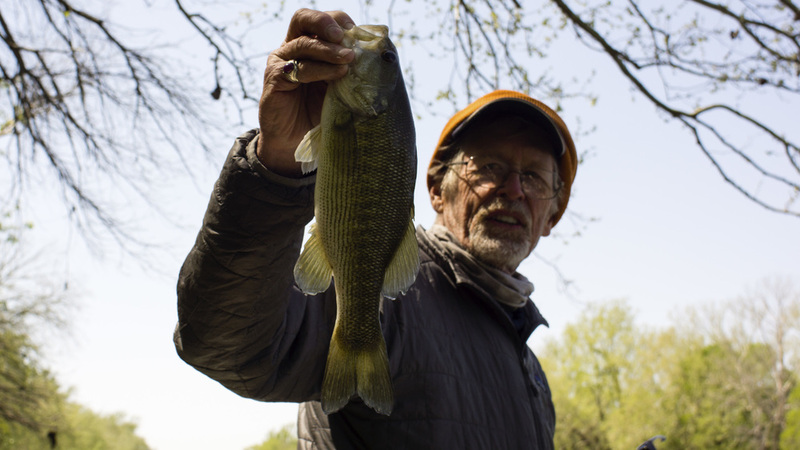 With warmer and longer days the bass are heading into prime pre-spawn mode. 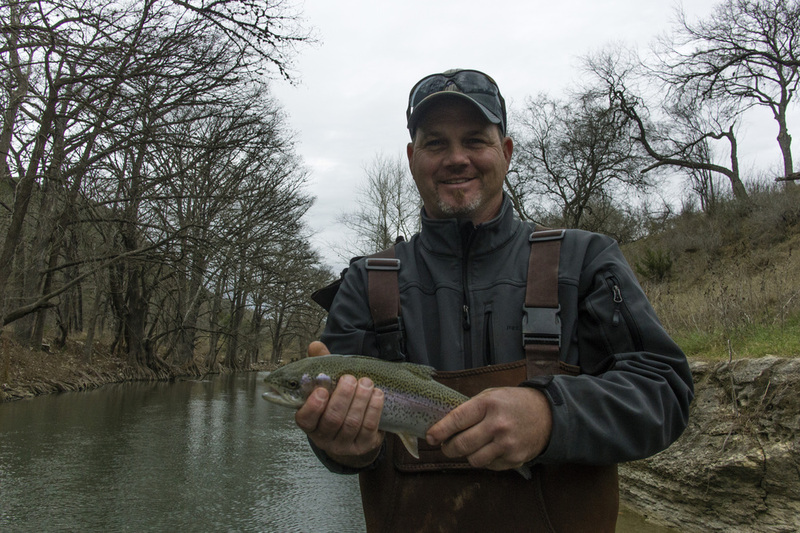 While most of the area guides are still on the Guadalupe River harassing the trout I decided to do some scouting in preparation for the always crazy March-bass-madness. I grabbed my 8 year-old daughter Elli and friend Tyler Reisig—a yankee steelheader and southern bass junky—to hit the water in the jetsled for a memorable day of CATCHING and RELEASING. 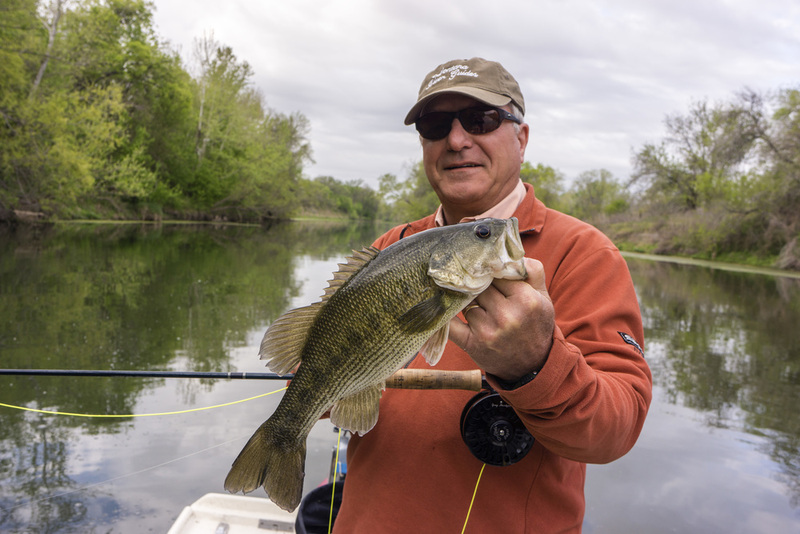 The conditions were perfect with air temperatures hitting near 80, gin-clear water, and river temperatures holding in the mid 60's. Most of our fish came from sub-surface streamers and crawfish patterns fished on my new Rio Stream Tip sinking line. If you haven't tried this line you are missing the mark—this line is incredible. 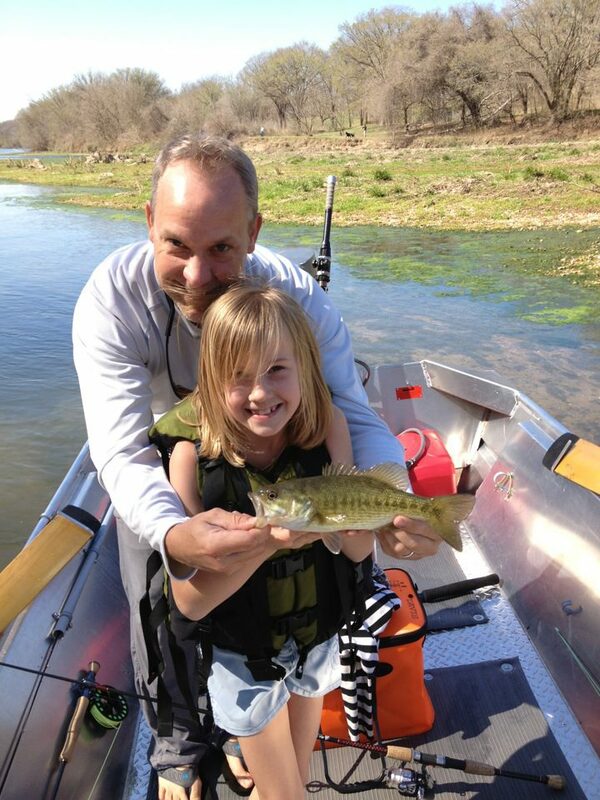 The best part of the day was watching my daughter Elli catch six nice bass on her spinning rod rigged with a crawfish. All-in-all a great day on the water! 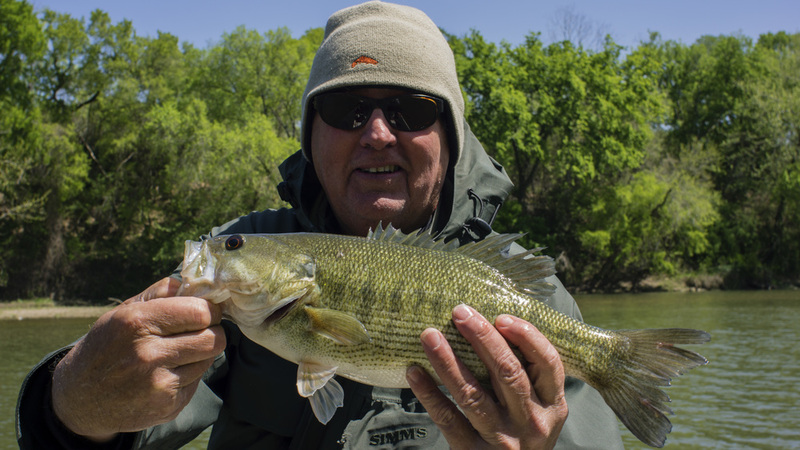 If you want to be a part of March-bass-madness of the Colorado River you need to book your trip with All Water Guides Service soon—our calendars are filling up fast!